Carol Michalak presents Mr. Bruce Miller with an Honorary Membership into the Society of the November assembly. 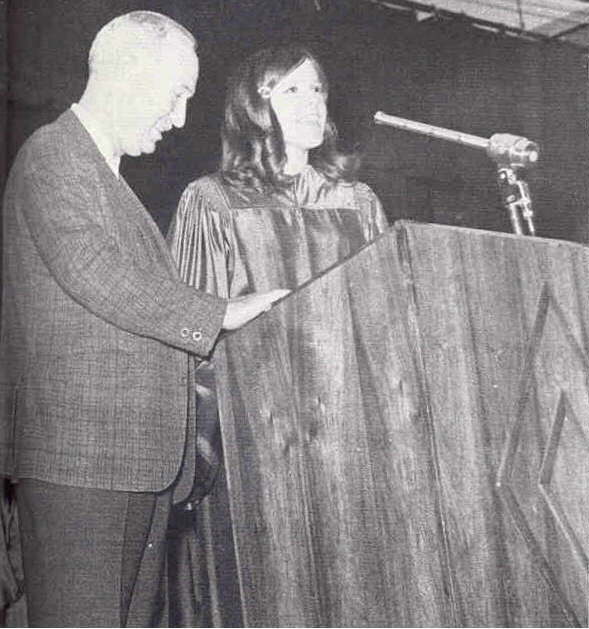 One of the highest academic privileges and honors one can receive at T. F. South is that of being elected into the National Honor Society. 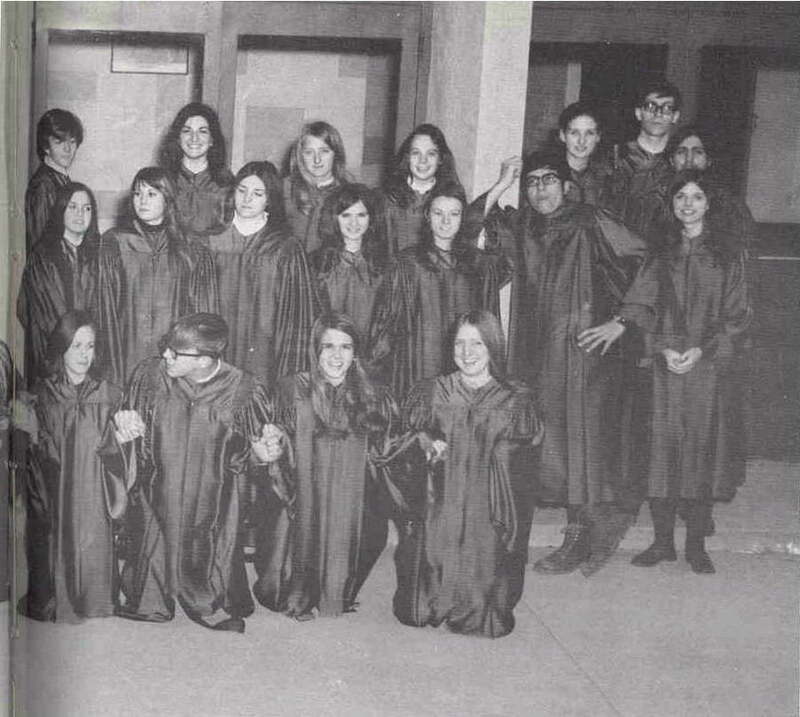 On November 18, 1970, forty-seven new members of the Ruth Hale Canaga Chapter of the Society were installed before an assembly of honor students. Chosen for their high standards of Charcter, Scholarship, Leadership, and Service, the new members joined the ten seniors who were chosen in their junior year. Together, the members attempt to instill the standards for which they were elected into the rest of the student body. The Tutoring Program which NHS provides helps to accomplish this objective.